I haven't updated the blog since just this side of forever. And it's not like there's been any huge, life altering reason for this benign neglect, just procrastination and avoidance. 01.) Let's all sing "School's Out for Summer", shall we? Yes, yes we shall. Annelise actually got out of school May 29th which was nice because it was a week earlier than the other schools in the area so she felt like she was getting away with something. Or something like that. This week she went to the VBS at the church where she goes to school. It was the Agency D3, Discover, Decide and Defend program, which she really enjoyed because it was borderline spy/secret agent-y type stuff, plus, you know, the Bible too. She was in a group with a friend from school, they had been in different classes but played together at recess often. Well, now they've reached another level...FaceTime and texting. I found myself sounding like my mom every day saying things like what on earth do y'all have to talk about 15 minutes after VBS ended and the FaceTime chats would start. 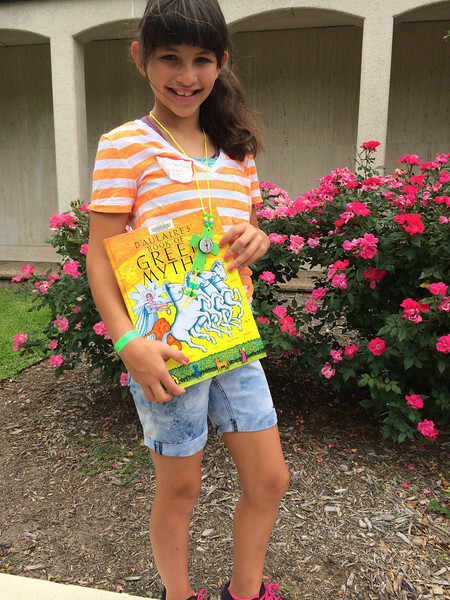 Random library photo: Annelise has been all up in the Percy Jackson series and the newer Lost Hero series, so she wanted to read more about Greek gods and myths. I had four books on hold to pick up, so yay! 02.) 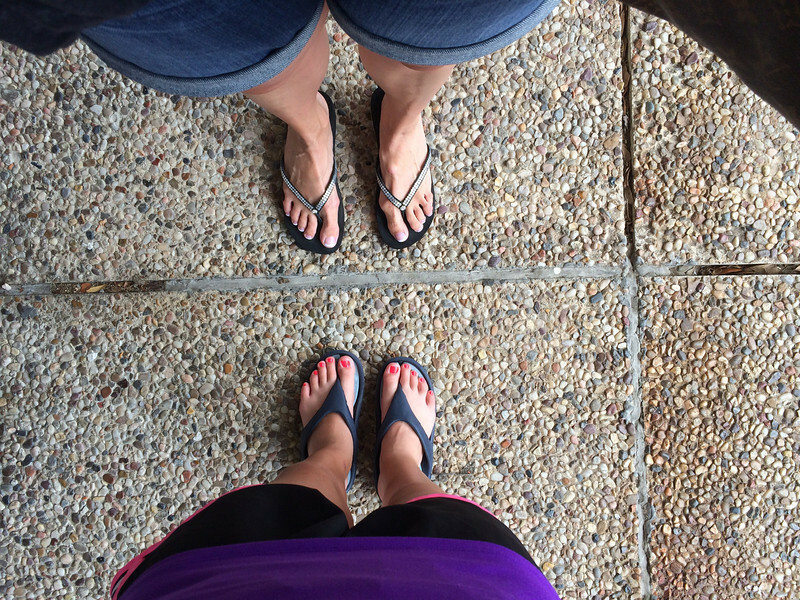 We had our first mama-daughter pedicure this week which was fun. This was Annelise's second *real* pedicure, she had one at a friend's birthday party a few years ago, but not since then since she's only ten. I got French and she got a hot neon pink which suits her perfectly (the photo is a bit blurry, sorry). 03.) 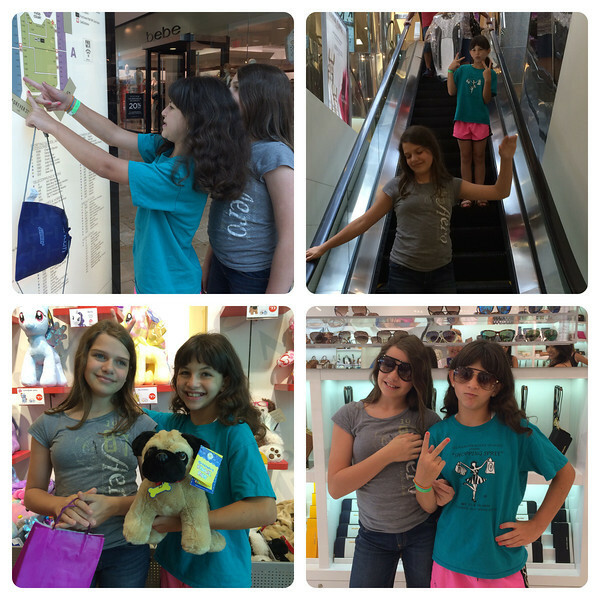 Yesterday after VBS we met Annelise's friend Donya and her mom at the mall for lunch and so they could do a photo scavenger hunt. Her mom had written clues on strips of paper and they took turns drawing them out of a bag, solving them, and then posing for a photo with that thing or doing that activity. They had a BLAST! 04.) 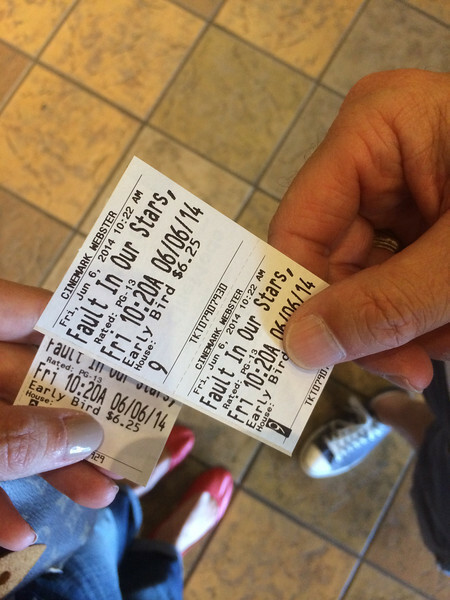 Last week, Scott and I went to see The Fault in Our Stars on opening day. I had read the book a couple of years ago and loved it to pieces, even though the subject matter is rather, um...heavy, so I was looking forward to the movie version. Scott didn't really know what to expect, I had just told him the bare bones of the story, but he ended up really liking it. I think he may have been the only man in the joint, there were mostly masses of womenses and young girls, so I guess it was more chick flick-y than I thought. 05.) So...this has been happening again. 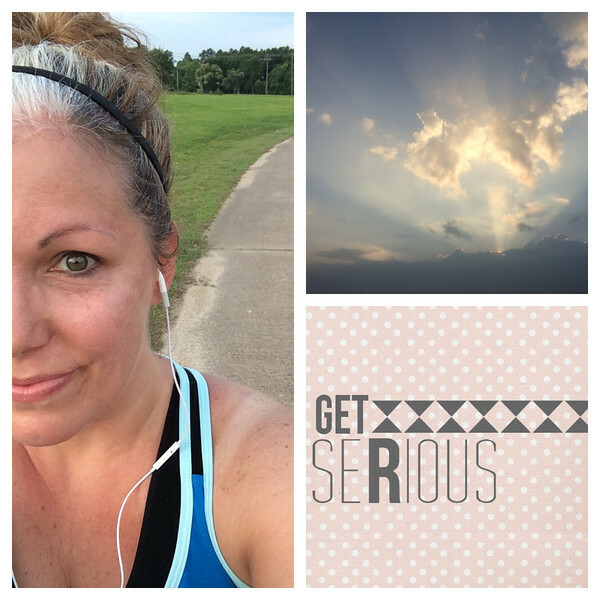 I'm doing the #54milesinjune challenge (it's a monthly run or walk challenge on Instagram) and have logged 15 miles so far (I'm a skosh behind). Some runs have been great and others have stunk, but that's just how it goes with running, you've got to take the good with the bad (it's the facts of life, the facts of life). The second week has been better than the first though, so hip-hip-hooray for that. I'm also getting back to some strength training with ChaLEAN Extreme because I think that makes everything better overall along with a few TurboFire workouts thrown in here and there for good measure. 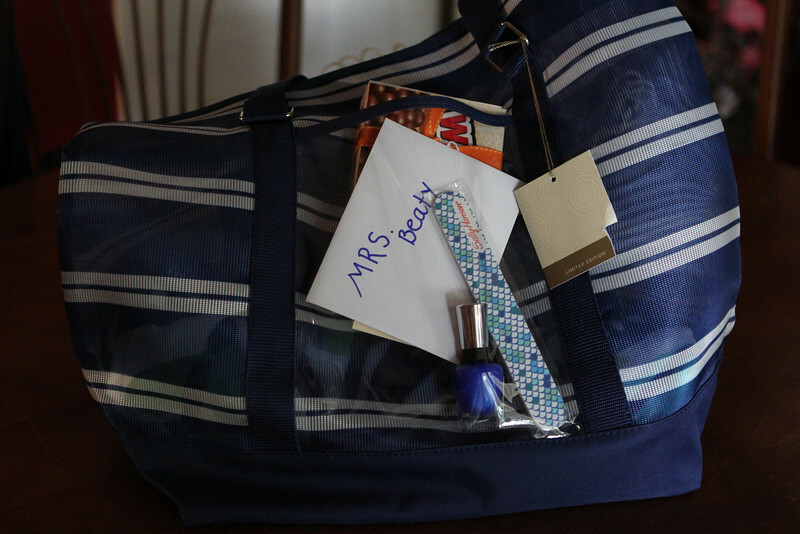 Annelise gave her teacher our traditional summer gift (since it's our third year in a row to do this, I guess it's a tradition) of a tote bag, beach towel, sunscreen, a mason jar tumbler, nail polish and of course, a big box of whoppers to have a whopper of a summer along with a card from Annelise. She said that Mrs. Beaty L-O-V-E-D it, so I'm glad. 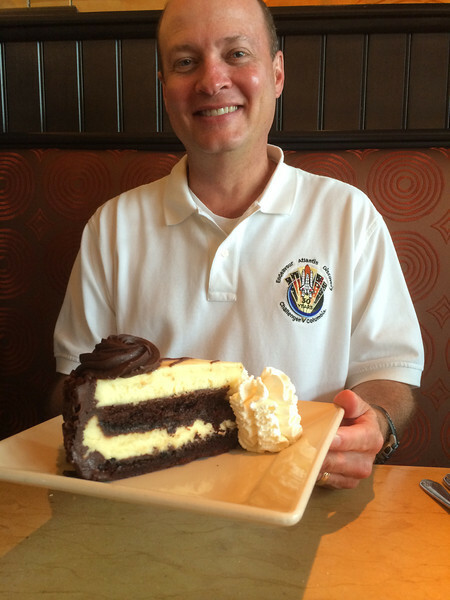 We celebrated Scott's birthday (he's 52, shh...) a few weeks ago with a lunch at Cheesecake Factory, which is also a tradition. We had a hard time deciding on a cheesecake to share since getting three is just down right gluttonous (not that we'd know anything about THAT, ha! ), but we finally settled on the 30th Anniversary because it has chocolate and regular cheesecake. Yum-ola! Thanks for catching up with me! What's new in your world?